With our Invisalign® offerings, you are able to easily correct any alignment issues you see in your smile, with the added benefit of no one knowing you’re doing it! These clear trays are almost invisible to a passerby, but it has the strength to correct any crookedness you see every time you smile. Ask us if Invisalign will help you achieve your best smile! Is your smile as straight as it can be? If not, you may be a candidate for Invisalign orthodontics. Invisalign is the leading alternative to traditional metal braces and is perfect for adults and teenagers who want a discreet way to straighten their teeth. At Crownsville Dental and Wellness Solutions, Dr. Rabovsky uses advanced Galileos technology to ensure patients get perfect results every time. 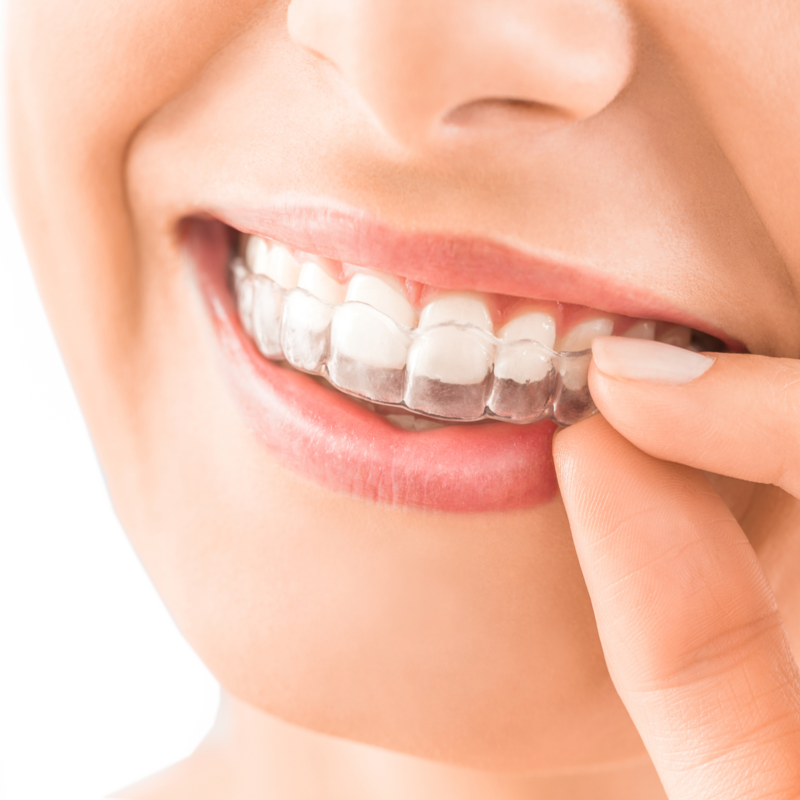 Quick: Invisalign is a series of clear plastic aligners that gently reposition your teeth creating a straighter smile, generally in less time than traditional braces. You change aligners every two weeks, so no more having to visit the orthodontist to tighten your brackets. Less visits, more free time. Discreet: The aligners are virtually invisible, as they fit over your teeth and are completely clear. That means you can say “goodbye” to clunky, unsightly metal orthodontics, and no one has to know you are straightening your smile. Convenient: The aligners are completely removable, and our 3-D scanning ensures a comfortable fit. Since you can take them out to eat, drink, brush, and floss, you don’t have to worry about dietary restrictions or hygiene concerns. First, we’ll use our special Galileos 3-D scanner to take digital impressions of your teeth, and map out a course of treatment. Along with surface 3-D scanning from CEREC, the panoramic images from Galileos are incredibly accurate, offering a more customized fit than other impression methods. Also, since our impressions are done digitally, we are able to instantly upload them to the Invisalign laboratory to craft your aligners. This saves you time, as you don’t have to wait for us to mail impressions. Once your aligners arrive, you’ll start with the first set in the series. Every two weeks, you’ll replace the current set with the next in the series. The change in aligners allows your teeth to gradually shift, until achieving the final position set in your treatment. After six weeks, we’ll check on your progress and ensure your treatment is following the predicted course. Most patients wear an average of 18 to 30 different aligners over the course of 9 to 15 months, but each case is unique. We’ll work with you to get the ideal straightened smile with discreet Invisalign aligners. Invisalign corrects misaligned, gapped, and crooked teeth, so you can get a perfectly straight smile conveniently and comfortably. You can talk, eat, and smile like you’re used to, and the world will be none the wiser to your straighter smile.